As we launched Maven Collection this season, our goal was to keep indigenous craft alive while bringing our customers unique pieces they won’t be able to find elsewhere. One of our first partnerships was with Florence Bourgade, a French graphic designer who left the world of paper behind to design gorgeous scarves that she could share with the world. Handmade in India, each of these gorgeous silk (and silk/cotton) scarves are one-of-a-kind, so you will be the only person to own that particular scarf! We are Florence’s first United States partnership, and could not be more excited to support such a fabulous designer! We interviewed Florence to learn a little more about where she comes from as a designer, and to get a deeper look into her inspirations, passions, and design techniques. Maven Collection: Where do you get your inspiration? Florence Bourgade: I gain inspiration while traveling abroad, in the Guimet Museum in Paris, and surfing the internet. Most of the patterns already exist somewhere in the world, I just try to give my own interpretation of them. Sometimes I just work on a very old idea I had years ago, sometimes I meet artisans and decide to create designs specifically for them. 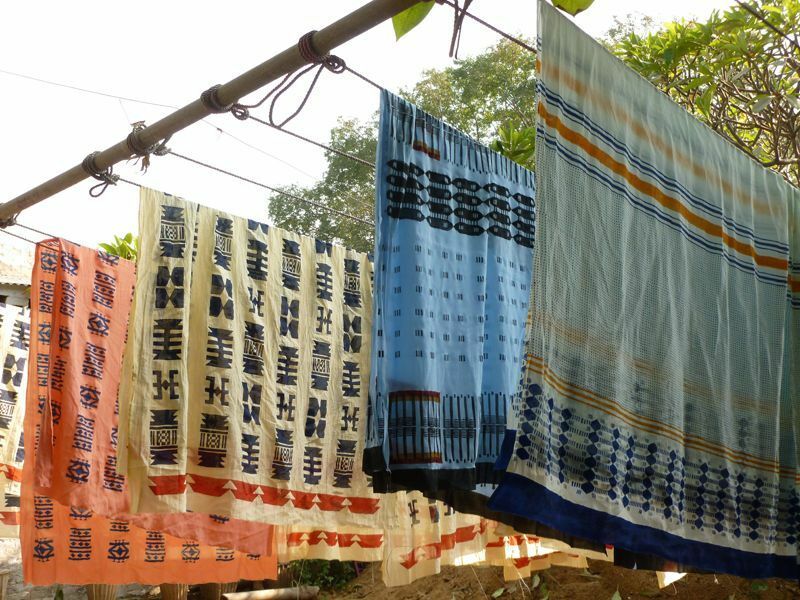 I always consider which techniques I will use before I begin my design – my approach is different if I decide to work with block print, weaving or print screen. Everything starts for me with artisan! It’s all about the people and what we can do together! We see that you were a graphic designer. When did you realize you wanted to make the switch into the fashion world? Yes, I worked as a graphic designer for years in ad agencies and as a freelance designer in Madrid, but the last few years [because of the Spanish crisis], the labor conditions became precarious in that sector. I was tired of working on the same projects! In the meantime, I was spending all of my free time working on textile patterns, looking for beautiful fabrics, or making clothes. I was obsessed with fabrics and patterns, I wanted to make something useful for me and for the others, but did not know what exactly…until a friend in India asked me and my husband, David Sanz Frias, why we haven’t opened our own business. I suppose this simple question made us think about launching our own business! As for me designing scarves, patterns, or graphics, they are not so different…It’s a very similar job. How long have you been designing scarves? We launched our brand a little more than one year ago. Be curious of arts and people, and be self confident. Don’t be afraid to ask for help, and for what you need to know to launch your idea. Go for your dream without fear and do not change what is most important to you.